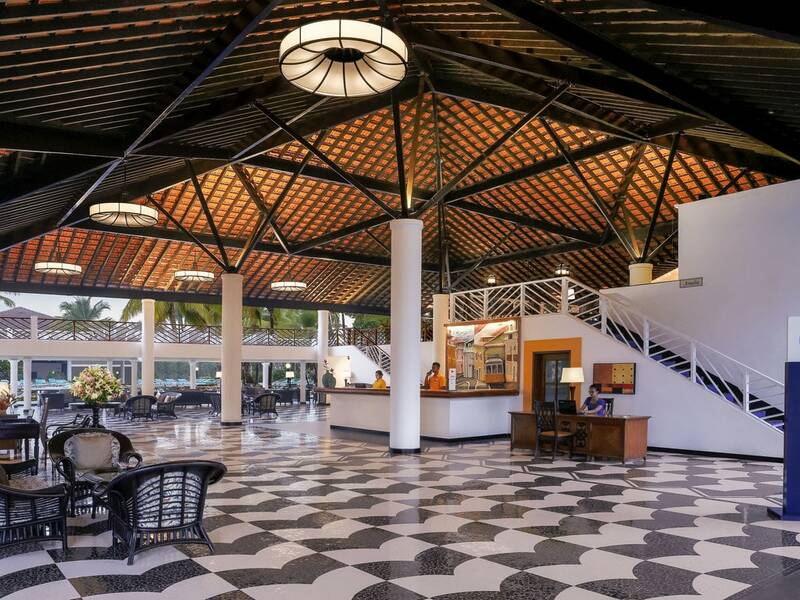 Experience the calm of South Goa at this Mediterranean-styled hotel. The sheer entrance of this place reminds me of the Seychelles. Consequently, the hopes and expectations have also heightened. For, that archipelago in the Indian Ocean has made me quite choosy when it comes to beach destinations. And, going by the first look, it seems I will not be disappointed. The resort has that quiet yet happening look and feel to it. It all starts from the reception which seems like opening the property’s heart out to the guests. The pool flanked by the palms adds to the holiday vibes. The peace on the faces of the other guests tells you that your blissful moments are also just around the corner. A stroll to the beach leaves no doubt in mind. Those clear turquoise-blue-green waters of the Seychelles made me avoid Goa for quite some time. Or perhaps I outgrew North Goa’s crowded shores, loud places and soiled waters. South Goa redeems it all for me and makes me a fan all over again. So, standing at the Cavelossim beach, I am both surprised and happy that this part of Goa still boasts of blue water, white sand and clean beach. 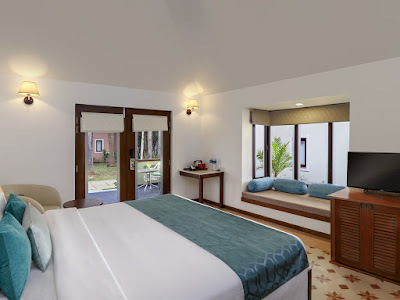 The resort, meanwhile, nothing less than a little luxury village in itself, and my room – a wonderful mix of traditional and contemporary, is a serene nest every city-dweller like me yearns for. And, the various hues that the setting sun leaves on the sky, also making the Arabian Sea glisten like warm gold, has me hooked. The dinner at Seagull, the all-day dining restaurant takes it further to being spoiled. And, the poolside grill restaurant – Mama Mia leaves no scope for self redemption. As I give in to a round of its gorgeous-looking mixes and drinks, paired oh-so-well with perfectly-grilled salmon in a light lemon-butter-sage sauce, this place has won my heart. 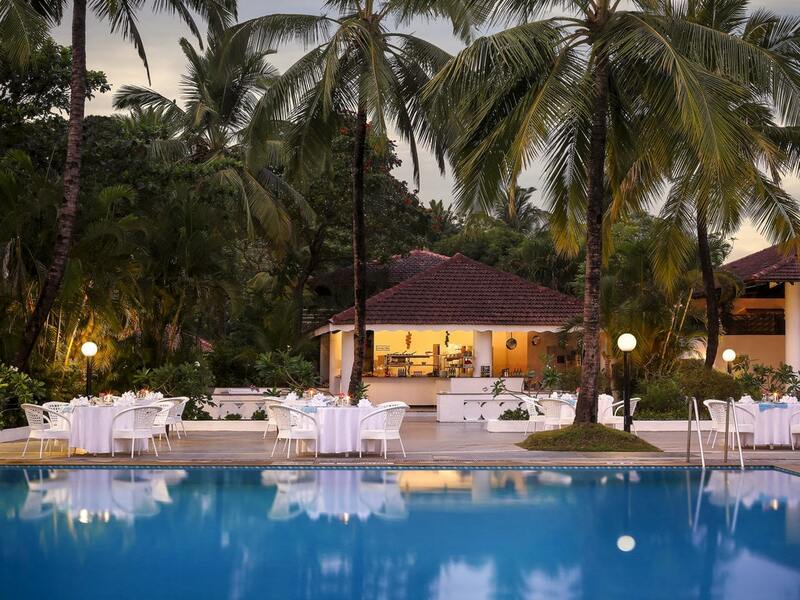 A quick round of the property the next morning shows how the partnership between AccorHotels and Alcon Victor Group has brought newness to the property but delightfully retained the old Goan-Portuguese flavours. The earlier Dona Sylvia Resort, and now Novotel Goa Dona Sylvia Resort, is hence even perfect for planning your wedding as its sprawling green lawns that merge with the sand work for both traditional and modern themes. The fine dining Indian restaurant – Kebabs & Kurries, can make you even feel like a royalty of the yore with its finest of recipes, picked from nowhere else than the royal kitchens. The lobby bar, Amalia, will have you return to the Goan mood and join the live music performers to belt out a couple of your favourites too. Don’t worry, the audience is already in a blissful zone, thanks to the delicious finger foods and drinks that you won’t get anything else than a grand applause. 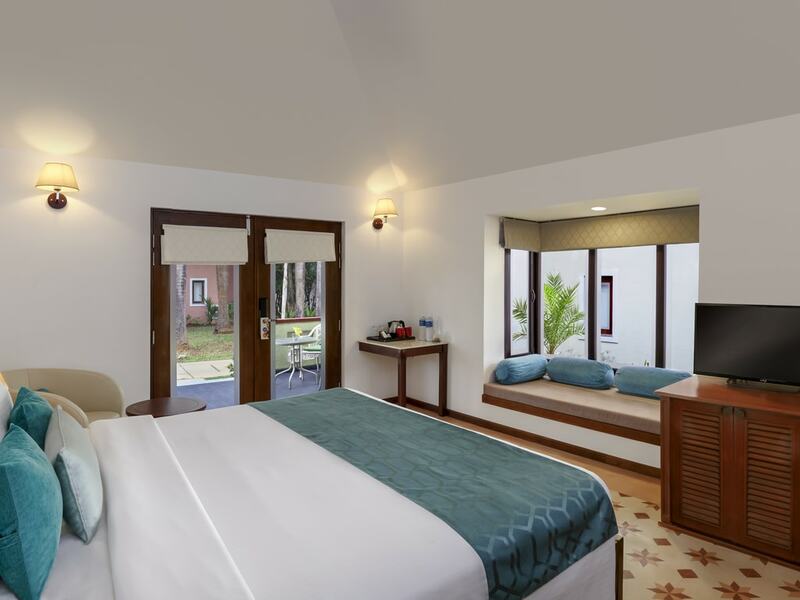 The old-world charm and the new-age luxury of this place indeed have an effect on your nerves. So much so that, despite not knowing how to swim my ultra-relaxed self decides to go for water sports. The calm mind leads to a brave heart and I triumph over the waves like a pro. Do not miss a round of water sports at the beach, it can be a life-changing experience (and, for the better). The hotel staff, always ready to help, will help you fix this adventure dose for yourself. The ones travelling with kids need not worry too as the place has enough to keep the curious minds occupied. The kitchen can even take care of their unpredictable taste buds and demands. Be it family, friends or business, every vacation, event or moment becomes perfect here. Kerala: It's more than backwaters! Kerala duly addressed as Gods own country, is a narrow strip of land lying in the west corner of peninsular India. 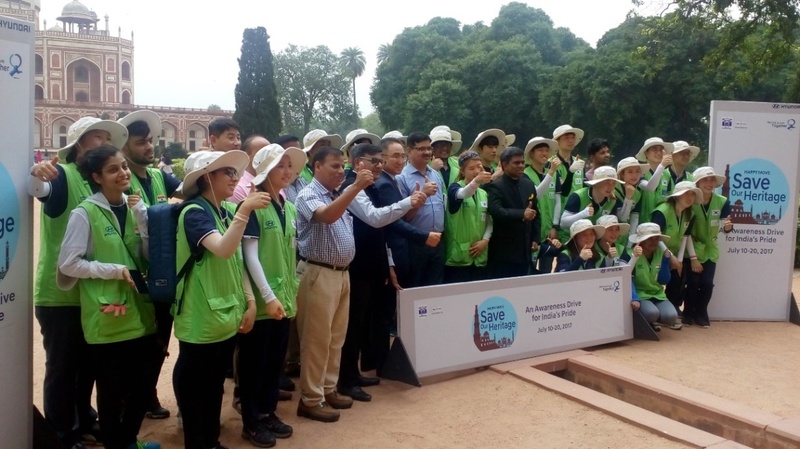 Keeping Lakshadweep sea to its west and Western Ghats to its east, this highly literate state of our country stands proudly for its natural and scenic beauty, from dense ever green forests, diverse flora and fauna, hills and peaks to lakes and beaches, preserving cultural heritage and what not. 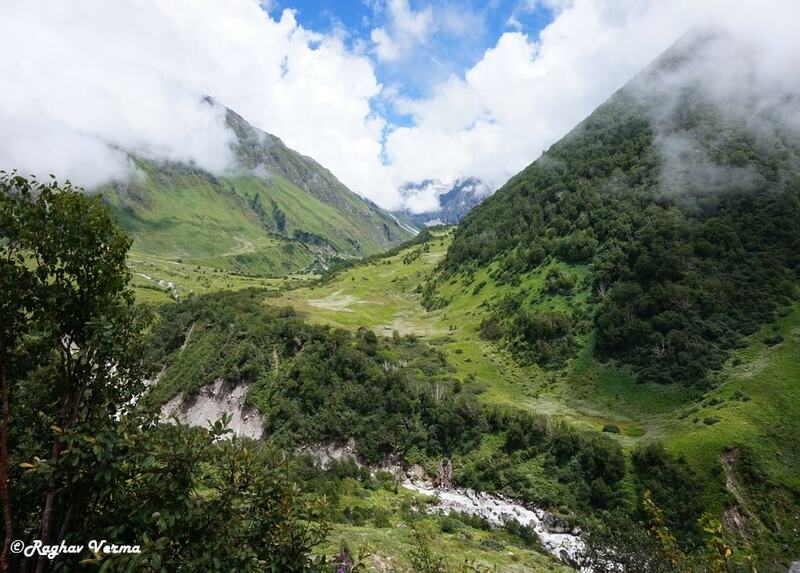 It is one of the truly blessed place on this planet and we are lucky that India owns it. As in current trend there is a shift from seeing to experiencing and those who look for experiential travel, Kerala is a hot destination. Here words won’t be enough and mere picture can’t convey what it feels being there and experiencing every bit of it. From top to bottom, Kerala has a lot to offer to its travellers. City sight-seeing is too conventional for those who believe in offbeat travelling. Athirapilly waterfall is one such destination in Thrissur district of Kerala, situated on the Chalakudy river, at the entrance to the Sholayar Ranges of Western Ghats. 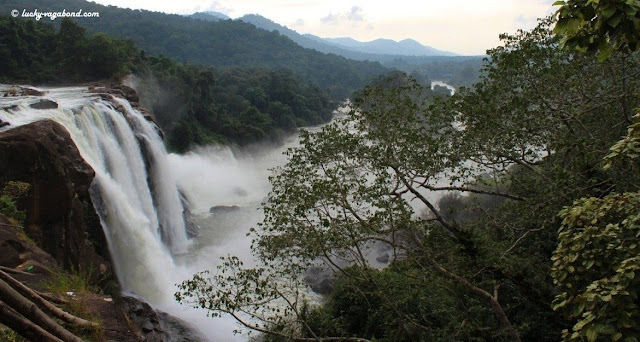 Athirapally falls also known as the Niagara Falls of India, fall down from approximately 80 feet through numerous parallel streams, painting the canvas in white. These falls were recently seen as the Jal Parvat in the movie Bahubali. As soon as you reach the location, the noise of splashing water will give you goose bumps. The waterfall is all hidden amongst the green and you can barely spot it from the road. A ticket of Rs. 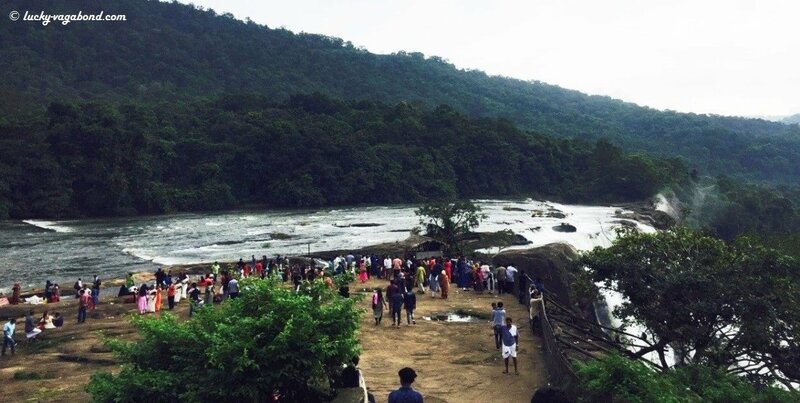 15 per head is charged at the entry and then a walk of 10 minutes from the gate of the premises, which is maintained by department of Kerala tourism, takes you to the scene- where a calmly flowing river, drops down abruptly making one gigantic waterfall. 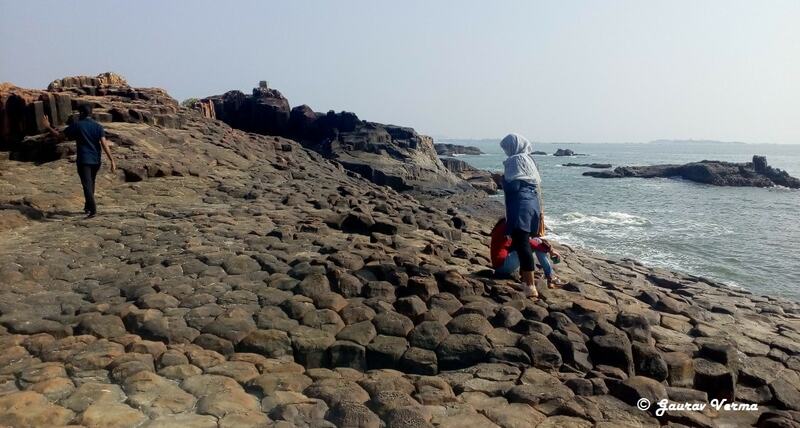 Here you can experience the river, the waterfall, the dense green forest, the arc of Western Ghats, all at once without any hindrance, the clear picturesque beauty of nature. After the top view, it’s time to move down to the plunge pool. It’s a trek of 1km approx. through the dense green and a wet forest. Its bit slippery, so proper footwear and caution is recommended. The noise of waterfall will automatically attract you and without any feeling of hardships you will reach to the most worthy and a never seen before kind of place. The splashes of crashing water will leave you wet and the scene is more magnificent. It seems as if nature is joyously welcoming you, with a touch. OH MY GOD and WAAOW, that’s the only thing I could scream out of excitement, because I have never felt this close to nature. It was worth the effort. Though the waterfall is perennial but best experience comes post monsoon. You can visit it on all the days from 8:00AM to 6:00PM, however weekend attracts local rush too. You can enjoy local food and snacks at small eating joints and hawkers outside the premises. While walking to the plateau point or while standing at the bottom of the waterfall, you can get yourself clicked/ take Selfies to inspire your friends for this offbeat voyage. 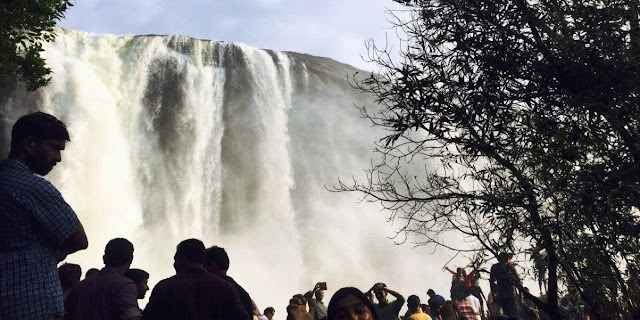 If you have time, you can go for Vazhachal waterfall, which is just 5Km from here. It is again a scenic spot and is famous for endemic species found in surrounding forest. One must start returning to Cochin by evening as there are no proper facilities of accommodation in the vicinity. Athirapilly is 66km from Cochin city and 55km from Cochin International Airport via NH 544 and Nearest railway station is 30km from here in Chalakudy. About Cochin - While searching online you will come across name "Kochi" as well. Cochin and Kochi are one and same. British used to call Kochi as Cochin. Finally in 90's the name Kochi was declared as official name of Cochin. Cochin has been often referred as Queen of Arabin Sea and has been one of the most important centre of Spice trade since 14th Century. Cochin was well known to Greeks, Romans, Jews, Arabs and Chinese since ancient times. Cochin has found references in documentation by travellers like Ma Huan (from China, 15th Century) and Niccolo' Da Conti (from Italy, 15th Century). Spices like Ginger, Cloves, Cardamom, turmeric and black pepper grown in this region are renowned world wide. Also would like to mention that Cochin International Airport is the world’s first fully solar energy powered airport and it is a perfect blend of nature and technology with heritage and modern architecture. Well connected to other major cities of India, Cochin is now a financial, economical and industrial powerhouse of Kerala. Landing here will give a kick start to your journey of exploring Southern India. Situated in the state of Karnataka, Udupi is a city renowned for its fabulous temples and pristine beaches. 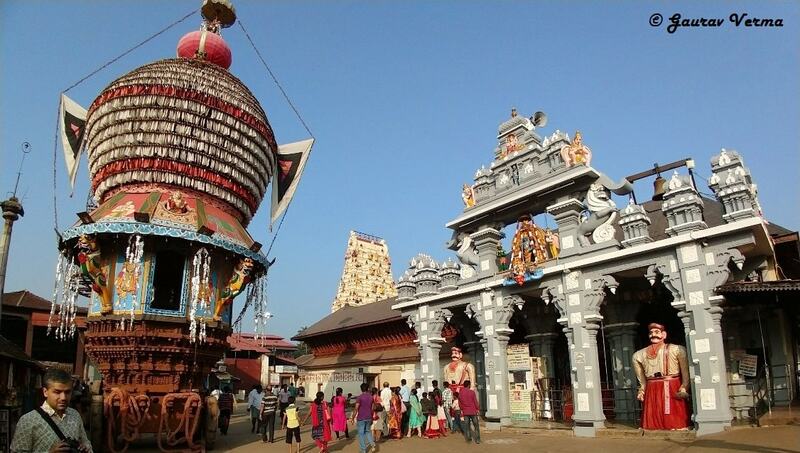 Visiting Udupi is full of joy that is ever fresh and full of fragrance. 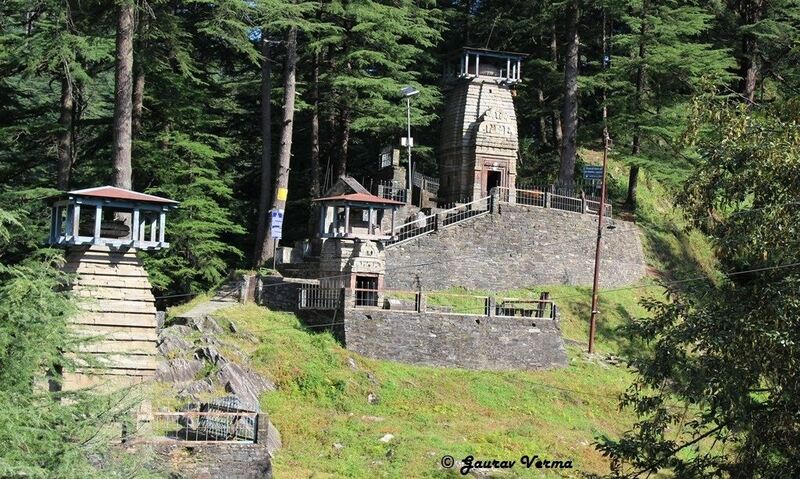 Millions of people from all around the world come here to experience the divine serenity of these beautiful temples. Sri Krishna Mutt is the most prominent temple in Udupi. This holy temple is the seat of Lord Krishna and is considered to be one of the holiest places in southern India. Set against the backdrop of the Blue Ridge Mountains, the limitless talents of local artisans like musicians, artists, and designers make Asheville, North Carolina one of the most vibrant and engaging cities in the country. If you’re looking for a place to relax while visiting this hilltop haven, try sampling the many local breweries that produce some of the finest product in the county. Offering more than 100 locally-made beers every day, this short guide will bring you up to speed on all this city offers for aficionados. Craft breweries started to grow after the consolidation of major American brewing companies in the late 1970s. At that time, the number of small breweries dwindled to 44, and beer enthusiasts worried that it would limit the variety and taste of available brews. Asheville definitely took this concern to heart, and by 2017, the city had the most breweries per capita in the nation. With a population of only 89,000 residents, Asheville has earned the well-deserved title of “Beer City USA” four times. The beer district is primarily located on the South Slope, the southern part of the city. Whether you’re looking for a traditional ale or a unique and original flavor, if you can dream it, Asheville has it on offer. Before hitting the bar, visitors can take a comprehensive tour as an introduction to the Asheville brewery culture. The history of brewing actually dates back to the late 1700s when the townspeople determined that it was too difficult to transport beer to an elevation of 2,216 feet above sea level. 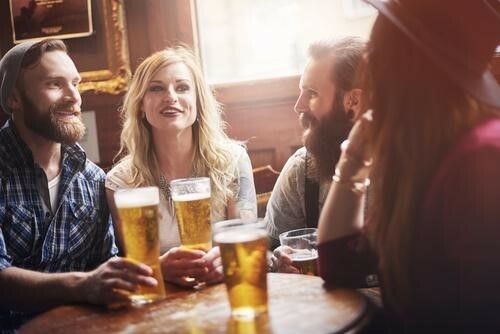 The passion and independence for creating craft beer has continued for centuries, and Asheville residents are proud to share their deep and rich beer history over a local pint. The Asheville Brews Cruise was the city’s first brewery tour and received recognition in both Southern Living and The New York Times. Depending on the day, visitors can tour four different breweries, spending about an hour at each location. The breweries on the route include Pisgah, Altamont, Hi-Wire, French Broad, Catawba, Green Man, Twin Leaf, Highland, One World, and the Wicked Weed Funkatorium. The tour price includes 12 four-ounce brew samples along the route. Tickets cost $60 per person, with a 50% deduction for designated drivers. The Pubcycle puts a different spin on brewery touring, requiring the work of ten peddlers and the assistance of a small motor to help during ascensions. The 90-minute tour makes two stops along the way. The 15-minute stops rotate, but the most visited breweries include Ben’s Tune-Up and the Conundrum Speakeasy. Tickets are $25 per person. 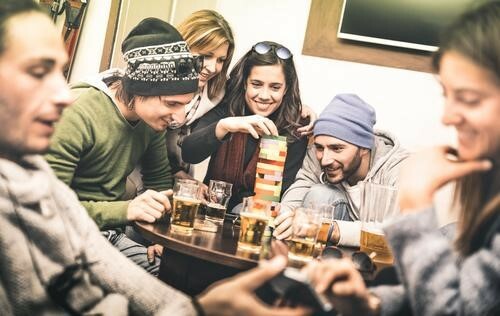 The tour does not provide alcohol, but passengers may bring their own or purchase house brews during their visit to the pub. Although the Sierra Nevada brand originated in California, Ashville has embraced it for years. Tours of this esteemed brewery vary in theme, price, and duration. The shortest tour is the 30-minute Guided Education Tasting, which focuses on their signature beers. For those who want in-depth information on the beer making process, they offer a three-hour Beer Geek Tour. The guides also take tourists on a Trip in the Woods, a mile-and-a-half hike and lesson on the nature of North Carolina and how Sierra Nevada conserves natural resources. All tours come with free samples. After taking a tour, it’s time to hit the pub trail. Starting from the southern part of the South Slope and heading back towards downtown, these locally recommended breweries are ready to entertain and surprise with their original concoctions. Burial opened in 2013 and is one of Asheville’s most impressive breweries. The forward-thinking owners Doug and Jess Reiser expanded a one-barrel brewery to a 10-barrel brewhouse with the help of their brewer Tim Gormley. They lean toward Belgian traditions while incorporating local ingredients like wildflower honey into their crisp blonde ales. The taproom prides itself on its weekly releases, with craft beers ranging from the Bolo Coconut Brown Ale to the Skillet Donut Stout. The brewery is opening a second location, the Forestry Camp Brewhouse, which originally housed workers during the construction of the Blue Ridge Parkway during the Great Depression. Head north to meet the mysterious Green Man peering through leafy overgrowth on this brewery’s craft beer bottles. Founded in 1997, it is Asheville's second oldest brewery, and it’s one of its best for many reasons. The Green Man Brewery is environmentally friendly, using high-efficiency equipment and repurposing used grains in cooperation with local farms. Although the Green Man Brewery has shifted its focus from traditional English style brews to American beers, some of the original lineup are still offered to appease their fans. Popular selections include the Green Man Indian Pale Ale, with hints of fruit and mint, and the Green Man Extra Special Bitter (ESB) for those who prefer malt with a trace of caramel. Or try one of their new American beers like the Snozzberry Wild American Ale aged with fruit in oak barrels. Wicked Weed has three locations: their pub, their brewery, and the Funkatorium. The Funkatorium offers just what the name promises: craft beers with a side of funk. It focuses on barrel-aged sours, which are aged in a wooden barrel to create that signature acidic tang. Their Serenity won the Great American Beer Festival gold medal in 2013, and their Silencio incorporates vanilla beans and local coffee aged in Kentucky bourbon barrels. Wicked Weed recently sold their brewery to Anheuser-Busch, but the founders assure the locals and visitors that the brewery will stay true to its mission to produce original and innovative brews. Another great stop is a converted auto shop named Ben’s Tune-Up, Asheville’s only sake and beer brewery. Sake is a Japanese unpasteurized wine made from rice, served hot or cold. Ben’s offers intriguing options like Lemon Ginger and Pineapple Jalapeño that are refreshing on a hot day. Ben’s also features an Asian fusion menu to complement their craft beverages. Sample one of their reputed beers and then cleanse your palette with some of their house-made sake. Ben’s Tune Up also has one of the best open-air beer gardens in Asheville and hosts free events featuring local musicians almost every day. The Asheville Brewing Company dates back to 1998. This brewery has three locations: North Asheville, downtown, and South Asheville. The original northern location includes a dine-in movie theater, where movies cost $3 per person and feature classics like Jaws or Spaceballs. Try the Fire Escape Ale made with jalapeños or the Rocket Girl Lager, which is popular with the locals. The brewery also offers a full menu with many delicious pub favorites. Asheville offers a vast array of beer for any connoisseur, from hoppy IPAs to classic English dark stouts. Asheville was first named Beer City USA in 2009, but this town has kept the beer flowing like mountain water for many years before they cinched the coveted national title.